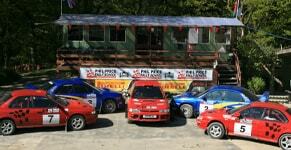 Once all the snow and frost has melted, why not book one of our driving days and come along to Phil Price Rally School? We promise to banish those winter blues and get your heart racing this Valentine’s Day with our gift vouchers the ideal present for any partner whose favourite movies tend to be Scandinavian flicks with plenty of racing scenes! Our epic driving days are renowned for offering optimal thrills, with highly passionate instructors and a stunning venue widely considered one of the best in the UK. We also offer more hours behind the wheel than many rally schools. A full throttle experience from start to finish. Previous guests have described our ‘fantastic’ driving days as providing ‘maximum amounts of time in the car’ and ‘an incredible experience’. As you can see from our testimonials, we attract people from all walks of life. With stunning countryside surrounding our genuine forest stages, it’s also a wonderful place for spectators to visit for whom we have many excellent facilities. 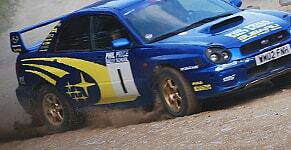 Our One Day Intense Course is extremely popular and provides several hours behind the wheel of a fully prepared Subaru Impreza rally car. If you need something to look forward to, why not book one of our driving days today?